Indonesia has officially lifted the ban on Tumblr. The lift comes after the country’s Ministry of Communication and Information Technology (Kominfo) had initially blocked the social media platform for not complying with its anti-pornographic laws. To be precise, the ban was lifted because Tumblr itself had made the announcement that it was removing all forms of pornographic content moving forward. 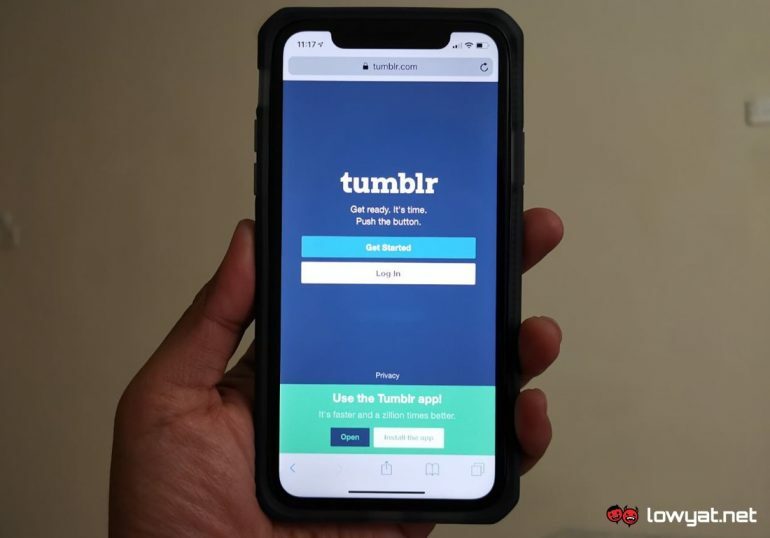 For Tumblr users, this means that the platform will now block all types of adult-themed content that are shared as either photos, videos, or GIFs. Indonesia is one of the few Southeast Asian countries that has some of the toughest anti-pornographic laws in the region. Its ban on Tumblr was enforced back during March this year, after the blogging site did not responde to the ministry’s warning letter. Tumblr isn’t the only one to have received the ban hammer from the Indonesian government. Video-sharing site Vimeo and reddit Forum are also banned in Indonesia, on the same grounds that both entities contain illicit and adult material. Material that can be considered pornographic, and thus illegal in the eyes of Indonesian law.